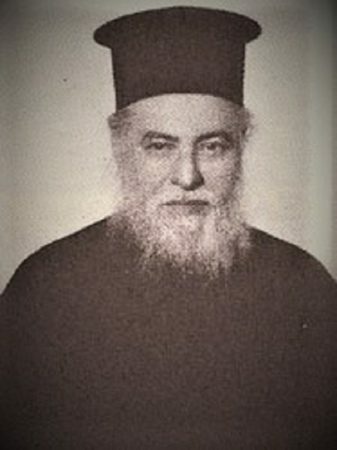 Archimandrite Benedict Petrakis (+ September 8, 1961) developed a magnificent pastoral activity in the Metropolis of Aitoloakarnania and especially in Agrinio. Many spiritual branches of this region bore fruit through his systematic work and his exceeding love for God and neighbor. When he was young and wanted to study theology, he was helped financially by a pious woman from Patras, Melpomeni Bulbasakos. And when he became a mature preacher in Aitoloakarnania, he received a phone call informing him that his benefactor was near death and he was requested to go and give her final communion. Immediately Benedict got into a taxi and hurried for Melpomeni's home in Patras. When he arrived at her stairs however, he met a deacon who was leaving the house who informed him that he was called to commune her instead due to the emergency because he was nearby, but when he arrived she was already dead. "Did you commune her?" asked Fr. Benedict. "I was not able to, Father. She died." "Melpomeni... Melpomeni... it is Benedict! I came to commune you!" "Go to sleep now and may we have a good reunion in the kingdom of heaven." "Did I not tell you, brother, that she did not die?" "Do not say anything about what you saw today, before my death." Source: From the book A Contemporary Saint, Fr. Benedict Petrakis by Archimandrite Spyridon Xenou (Greek). Translation by John Sanidopoulos.